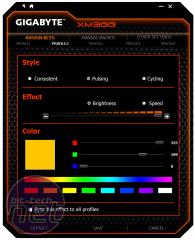 Gigabyte introduced the world to its Xtreme Gaming lineup with graphics cards, a couple of which we've tested ourselves. 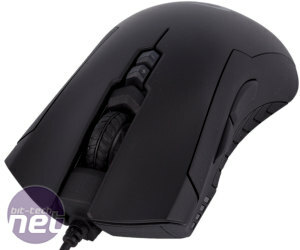 Like the Asus Strix brand, however, it's now expanding into other departments, namely peripherals – the new XM300 mouse is the first one we've got for review. 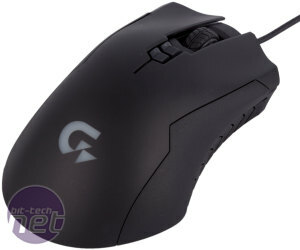 It's got seven buttons, is ergonomically crafted and has a 6,400 DPI optical sensor. 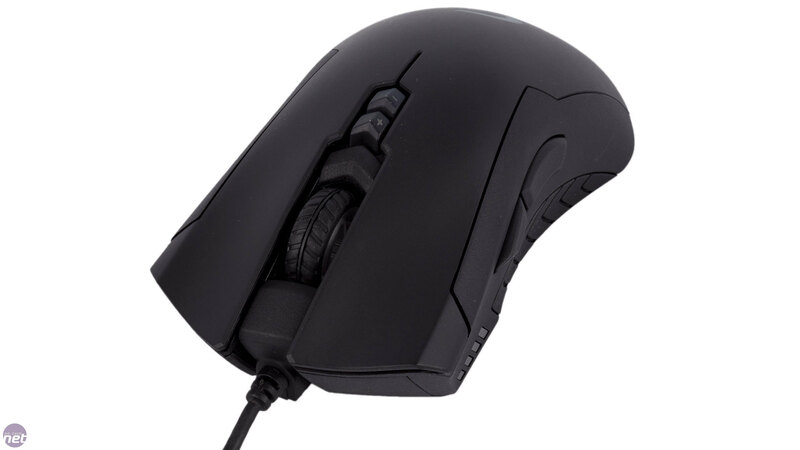 It's hard not to see the similarities between the XM300 and Razer's Mamba. 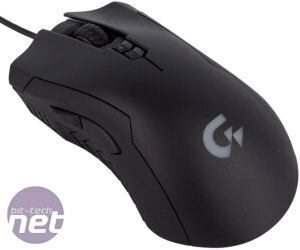 We find here a very similar shape even down to the contoured main buttons. The XM300 also has a smooth, matt plastic finish complete with rubber side grips. It's not an exact replica, however, as the XM300 has a slightly longer and more hand-filling shape. We found the hump to be a little far forwards in palm grip, and on the right side the mouse body is curved inwards leaving minimal support for ring and pinky fingers, though the rubber side definitely helps keep them elevated. These are minor complaints though as on the whole it's comfortable to hold. 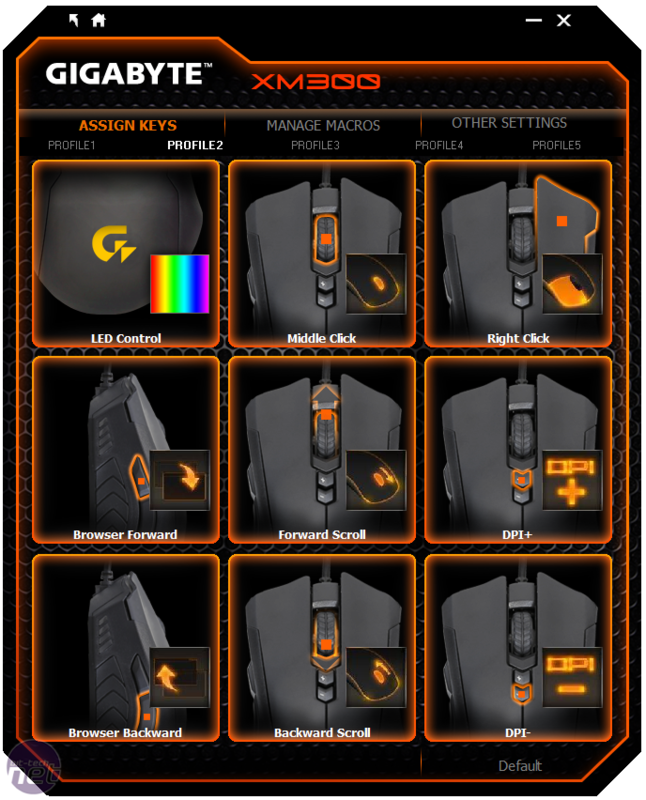 This mostly applies in claw and fingertip grips too, although the length of the mouse might bother some such users. 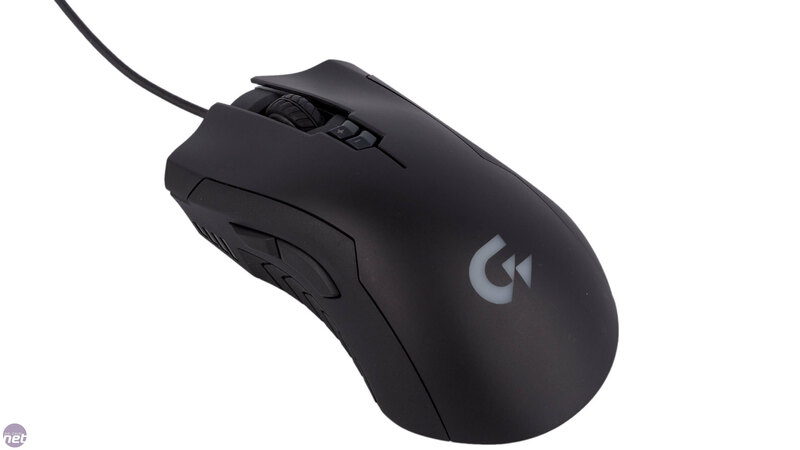 In the end, while it's not perfect for any grip, it is very good for all of the main ones, which not a lot of mice can lay claim to. Material quality is good here – the body is solid and Teflon feet ensure smooth gliding. You even get a couple of sets of replacement feet in case of wear over time. 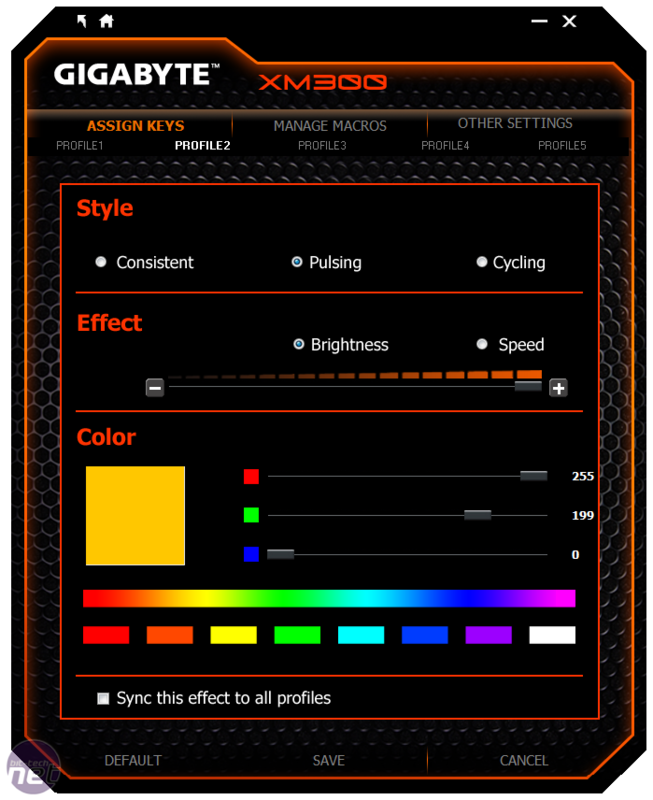 The 1.8m cable is PVC, not braided, though Gigabyte claims this has a number of benefits. All we really care about, however, is that is secured well and in a way that keeps it elevated to avoid drag. The main clickers use Omron D2FC-F-7N switches, rated for an extended 20 million click lifespan. They have their standard crisp and precise feel and none of the other five buttons are excessively heavy or light. The thumb buttons impress the most, as their size and position are pretty much perfect. 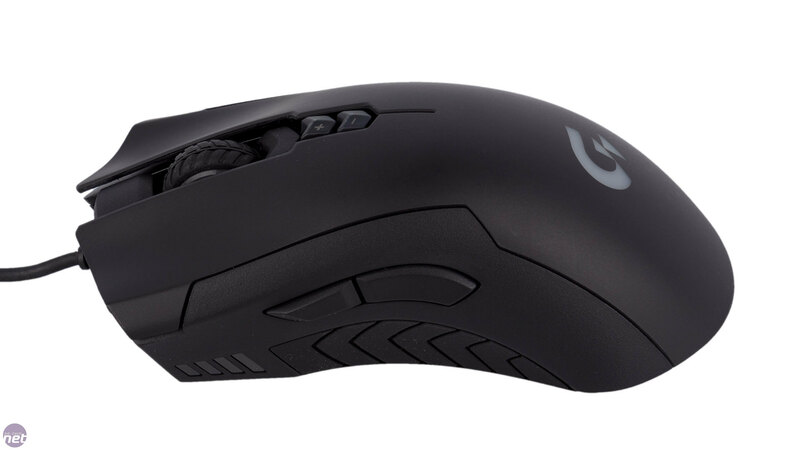 There is a bit of looseness to the scroll wheel, and the DPI buttons are rather small, but their clear contours help with hitting the right one in a hurry. The XM300 tips the scale at around 101g excluding cable, making it fairly average in this regard. It does not feature any weight adjustment. 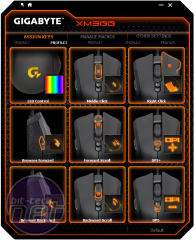 The Pixart 3988 6,400 DPI optical sensor is used here, the same as that of the Corsair Sabre Optical, Asus ROG Gladius and Razer Deathadder Chroma, among others. 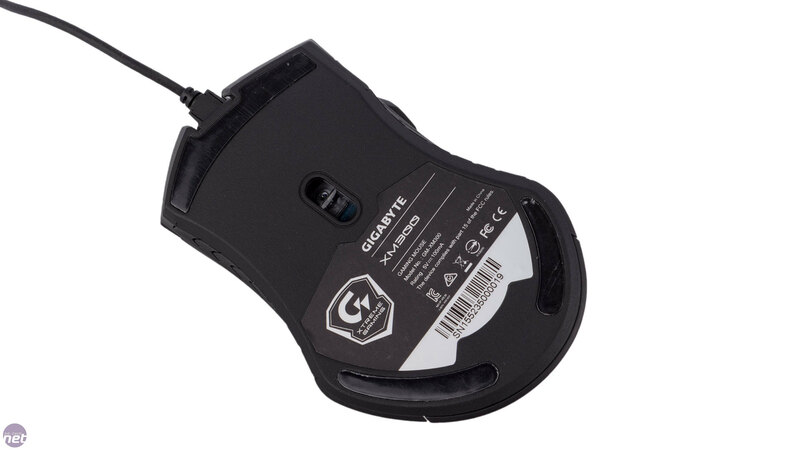 This is no bad thing, as this is a fine sensor and it again proved its merit with this mouse. The tracking feels very precise, with no unwanted angle snapping, jitter or acceleration to speak of. Lift off distance isn't great, however, with the mouse still mostly tracking at a height of three CDs and not completely motionless even with four beneath it. The four onboard DPI stages are clearly represented by easy-to-see white lights at the front, just ahead of your thumb. 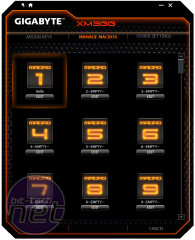 The logo, meanwhile, is lit by an RGB LED, which can be set to static, breathing or colour cycling with brightness and colour control also available for those first two modes. 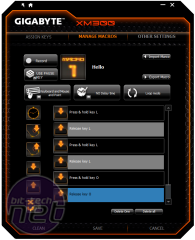 The software is not particularly attractive, and the interface could be improved – we'd prefer a button map over the tile layout as it's not immediately obvious where the button you want to program is. 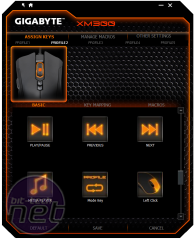 Still, there are plenty of options for programming each of the buttons, though you can't assign shortcuts to programs. 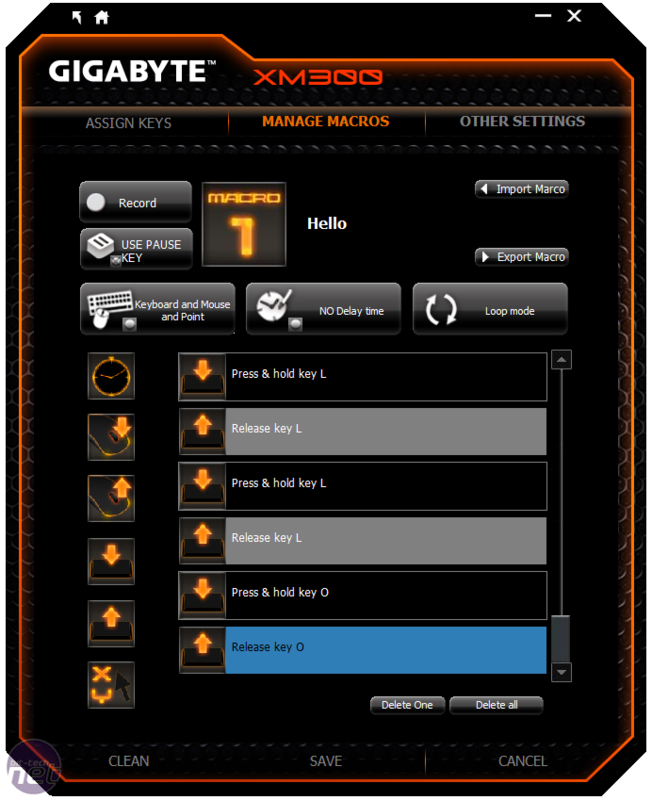 Settings are saved onboard, thankfully, so you can forget about or even uninstall the software once you're done tweaking. 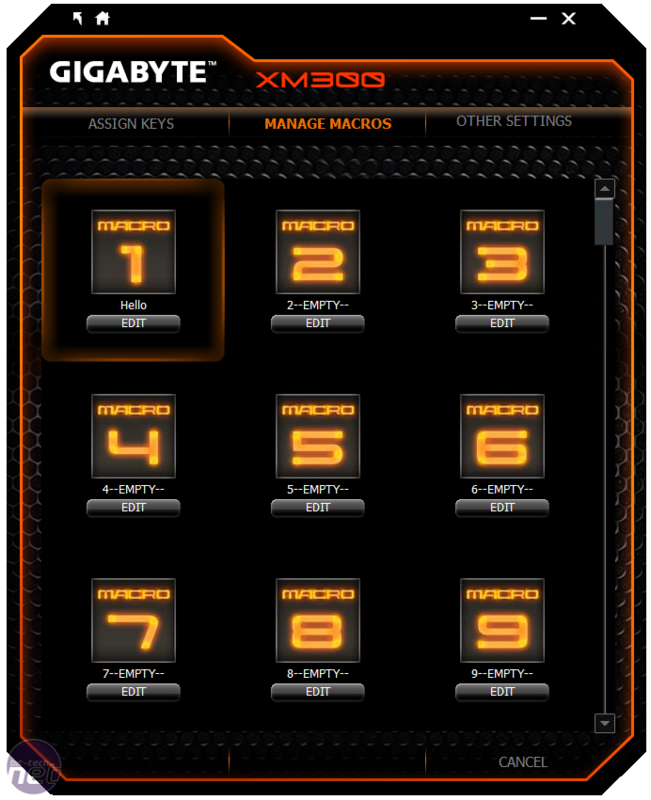 The macro manager has 50 slots to fill, which is more than enough for the five onboard profiles. 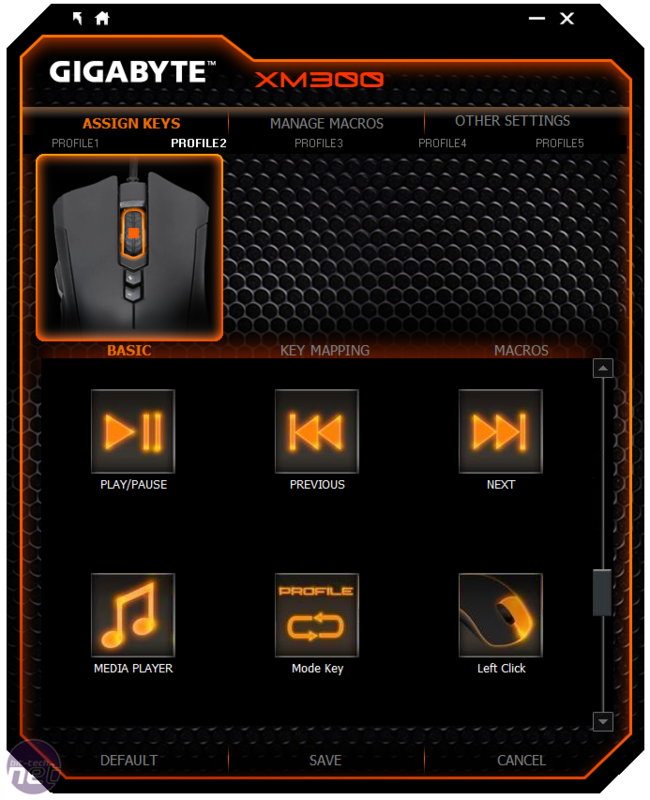 The editor has all the usual delay options and three playback modes too and you can choose what gets recorded, including mouse commands and position of cursor when clicking. Again, the interface needs a bit of tidying up, but it's not a total disaster. 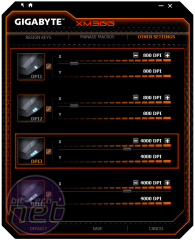 DPI levels are adjusted in the Other Settings menu, although unfortunately you can't assign these on a per-profile basis. 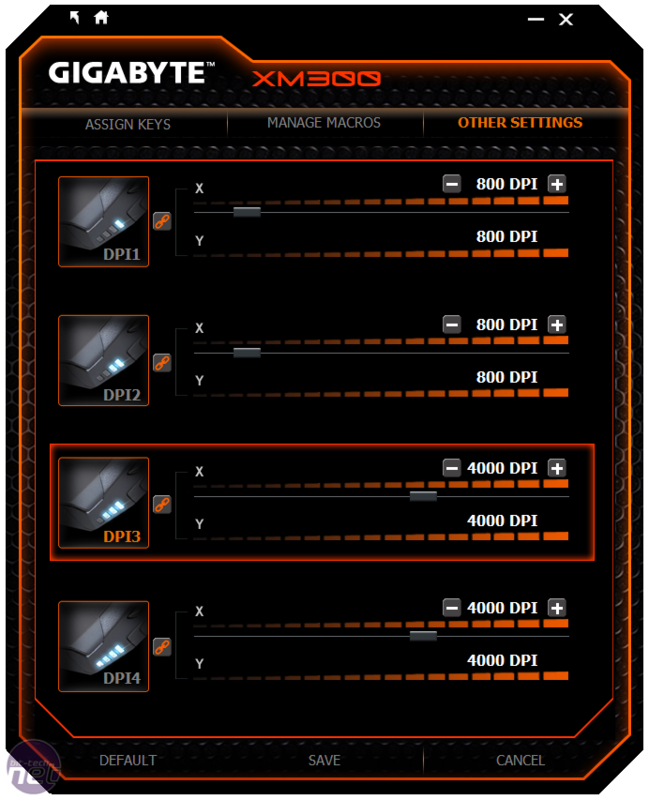 DPI levels start at 50 DPI and work up in 50 DPI increments, with X/Y splitting available too. 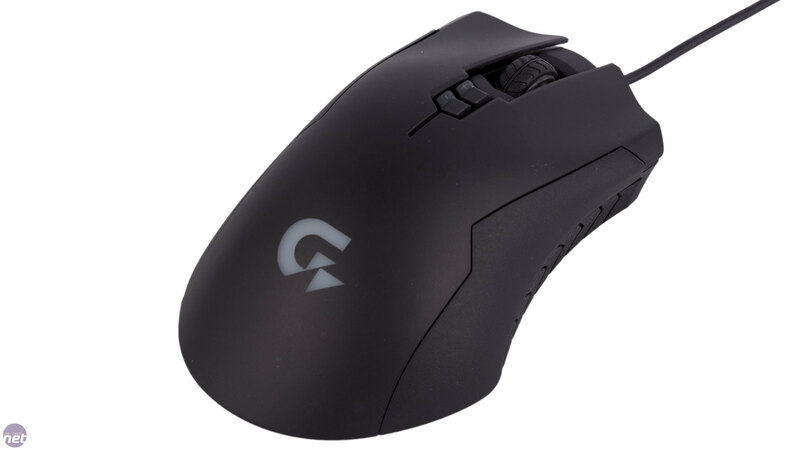 Depending on your grip style, you can get mice which are even more ergonomically tailored than this, such as the Cooler Master Xornet II or one from the Mionix Naos series. However, the XM300 is still comfortable and well made. The software does need work but it's functional enough and you don't need it running or even installed to use your custom functions. 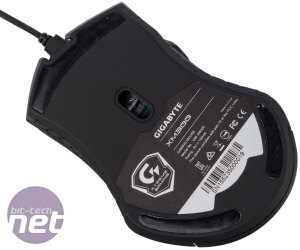 What this mouse really has going for it is the cost – less than £35 is an attractive price for a seven-button mouse with a great optical sensor like this as well as Omron switches, rubber side grips and Teflon feet. With these features integrated into a mostly solid design, that price is enough to earn the XM300 a Recommended award, but there's still room for improvement here and there.